Tax rates, credits and incentives are all hot-button topics when discussing the current direction of manufacturing. But none of them will probably be as relevant to the industry’s future as what Cognizant has labeled the “trust tax” – i.e., the many costs and obstacles impeding the establishment of efficient working partnerships between manufacturers and customers. Customers vetting potential partners – getting assurances about processes and auditing/certifying their operations – can be a drawn-out procedure, which in turn reduces total business opportunities for manufacturers. Creating a more streamlined relationship is critical, especially with the Industrial Internet of Things (IIoT) coming into focus and manufacturers facing the challenges associated with emerging manufacturing applications in altered reality (AR), AI-Robotics and 3D printing, as well as the IIoT. Another key question to consider is to what degree cost-efficient and reliable links in terms of secure, reliable Internet and cloud connectivity, from plant to storefront, are being scoped? Implement blockchain-enabled recordkeeping, simplifying trust-building efforts and paving the way for highly autonomous factories. 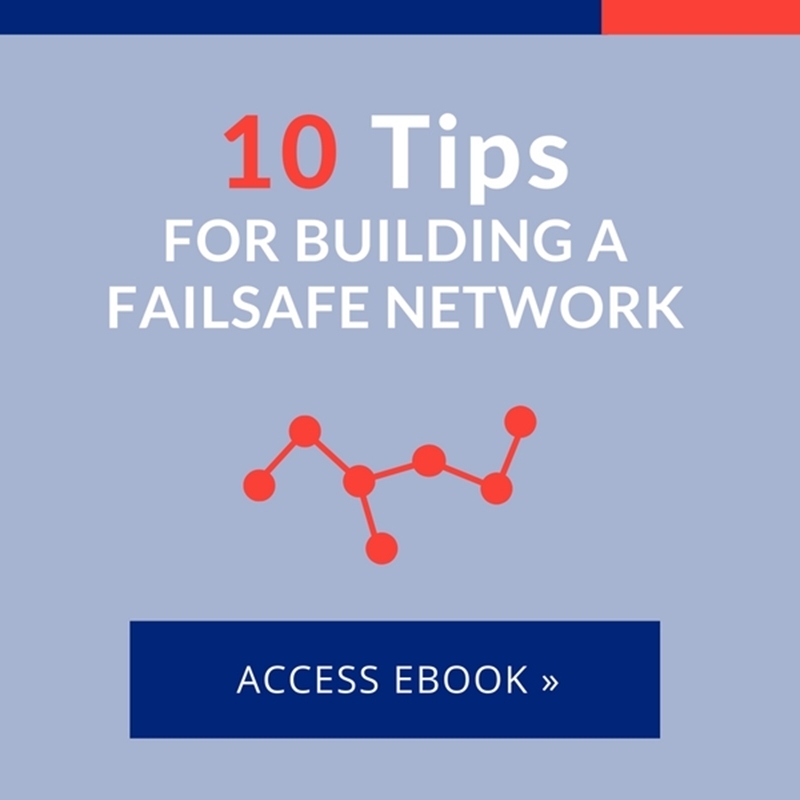 Support the new manufacturing applications in such facilities via upgraded wide area network (WAN) infrastructure, namely a truly failsafe software-defined WAN. Manufacturers traditionally employ numerous applications that rely on functional WANs, ranging from real-time audio/video tools to sensor data that can monitor conditions along the production line, to wearable IoT devices. Each of these components contributes to a safer, more efficient and agile manufacturing landscape than ever before. It is important to note that such applications are very sensitive to small changes in latency, which can have a noticeable effect on user experience, which could hurt production and ultimately trickle down to the end customer. SD-WAN versus traditional WAN is like night and day when it comes to supporting both cloud-based apps and the broader manufacturing Internet of Things. Unlike standard hub-and-spoke architectures, SD-WAN offers direct-to-cloud connections, which are more cost-effective and much better at delivering dynamic capacity, Quality of Experience (QoE) and overall reliability. The difference is worth thinking about as you map out the types of applications you will want to support going forward. The possibilities range from today’s cloud inventory systems to the AR-enhanced assembly, quality control and maintenance apps of tomorrow. SD-WAN simplifies the use of all of them, easing the ultimate transition to the IIoT and the blockchain. Stability regardless of transport type or app architecture. Integrations, e.g., with cloud security platforms. Visibility and control over your WAN traffic. The tasks in front of today’s manufacturers are significant. SD-WAN can help address a specific set of them; Gartner’s Andrew Lerner has highlighted high transport costs, WAN complexity and support for hybrid WANs as prime catalysts for making the switch. However, there are a few potential pitfalls to be mindful of en route to SD-WAN. For example, make sure your SD-WAN selection will actually improve performance of public cloud applications if you regularly consume these services. Also look for partnerships between SD-WAN providers and trusted security organizations like Zscaler. Finally, ensure that your SD-WAN is capable of supporting the requirements of your various service-level agreements. The spawning of SD-WAN does not necessarily mean the death of MPLS, even with the fresh demands of the manufacturing Internet of Things and the challenges of overcoming the “trust tax” referenced earlier. If MPLS is still central to your operations, the transition to SD-WAN should revolve around a solution that can give you more value from MPLS, instead of a disruptive rip-and-replace of the network. To learn more about what Talari Networks can offer your manufacturing company, contact us directly or request a demo today.